Each team splices an eye in a length of cable (wire rope). They use marlin spikes and hammers. The splice must be good or the team is disqualified. 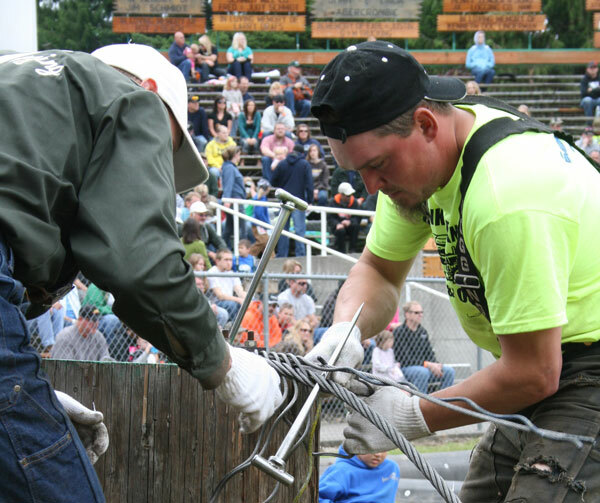 Before the contest starts, a loop is formed in the cable, and spiked to the splicing block. At the signal, teams begin splicing and when finished they throw up their hands. This is a timed event and the best time wins.